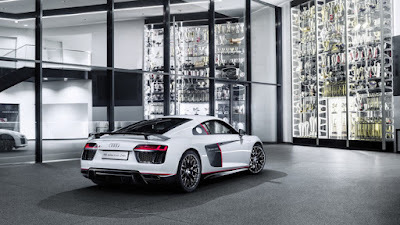 In order to celebrate the 24th anniversary, Audi has introduced a limited edition variant of the R8 V10 Plus. This limited edition model will be called the Audi R8 Selection 24H. The display of R8 24H was painted in gray with black accents and red. 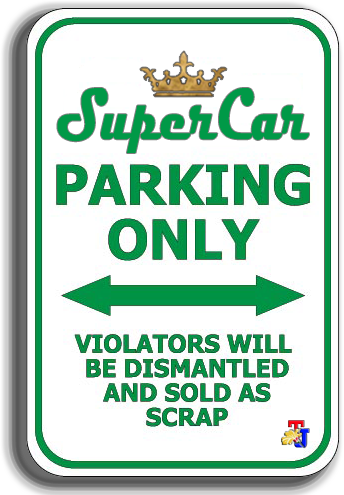 Materials used for car body kits are carbon fiber so that the car appears to be lighter. For the wheels, the car is wearing a size 20-inch aluminum wheels with glossy black color. On the inside of the cabin is also embedded the carbon fiber material on the dashboard, center console and vehicle number plates. As reported by Leaflanenews on Tuesday, May 17, 2016, each the Selection 24H will come with the standard dynamic steering wheel, adaptive and fully adjustable suspension, also equipped with a laser light. 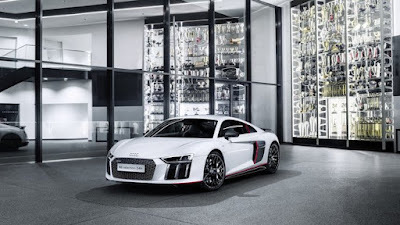 Audi has yet to make mechanical modifications on the R8 Selection 24H, which means that the car is still powered by a V10 engine 5.2-liter naturally-aspirated makes 540 horsepower at 7,800 rpm and 398 pound-feet of torque at 6,500 rpm.